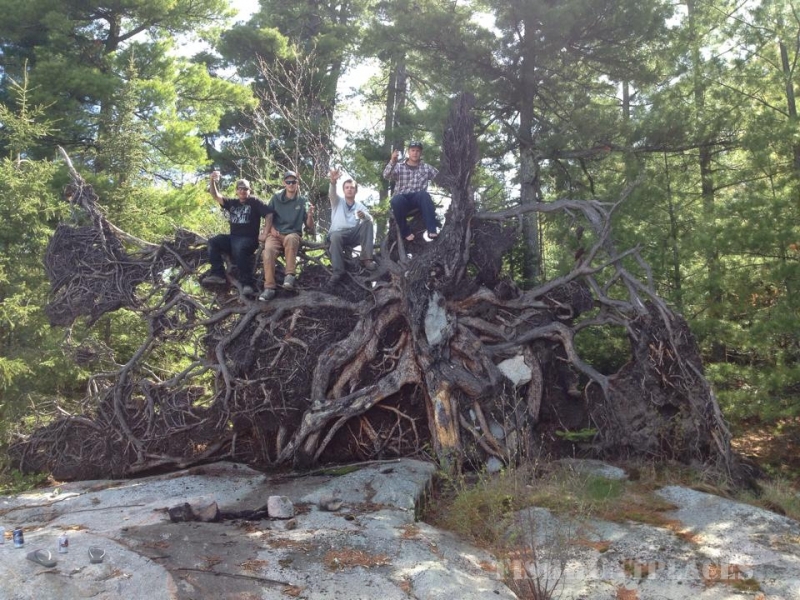 Maynard Lake Lodge sits high overlooking the beautiful scenery of Maynard Lake, Ontario, Canada. It’s rustic atmosphere houses the kitchen where our chef prepares the most incredible gourmet meals, far beyond expectations. The dining room can comfortably seat thirty six people in family style atmosphere, where breakfast and dinner is served with a smile and pleasant conversation. Just off the dining room is the games room. Here you can play pool, darts, cards, watch Satellite T.V., watch a movie or just relax in it's peaceful surroundings. We also offer free Wi-Fi in the main lodge area for those needing to stay in touch, however dealing with work related issues is frowned on. Walleye, Northern Pike, Smallmouth Bass, or Muskie which ever you prefer. 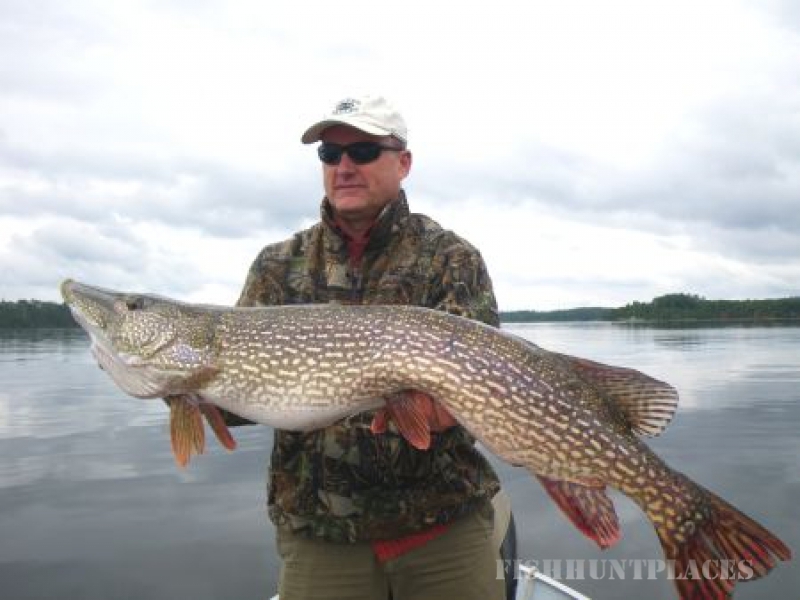 They are what Canadian Wilderness Fishing is all about. 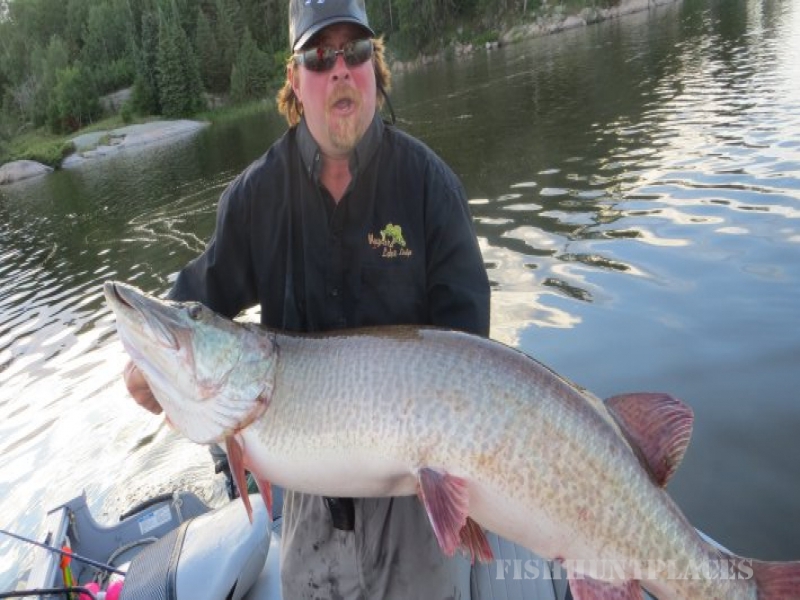 Maynard Lake provides some of the best action in Northwestern Ontario. The potential for a trophy is thereEVERY TIME you throw your line in the water! 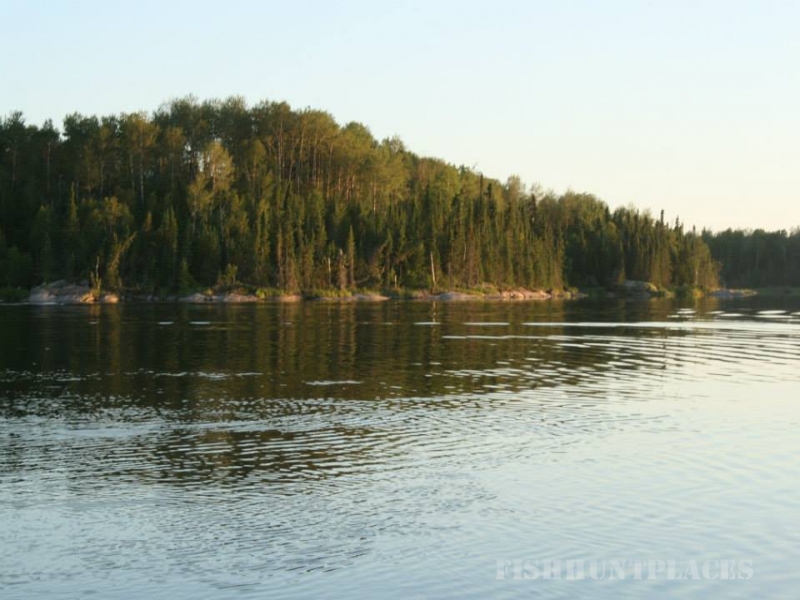 Accessible only by float plane, Maynard Lake Lodge is located on a prime location on the renowned English River System, 80 KM (50 miles) Northeast of Kenora, Ontario, Canada. This deluxe fishing lodge is the only one on the 8000 acre lake providing a remote fishing experience for up to thirty two guests on truly unspoiled waters. 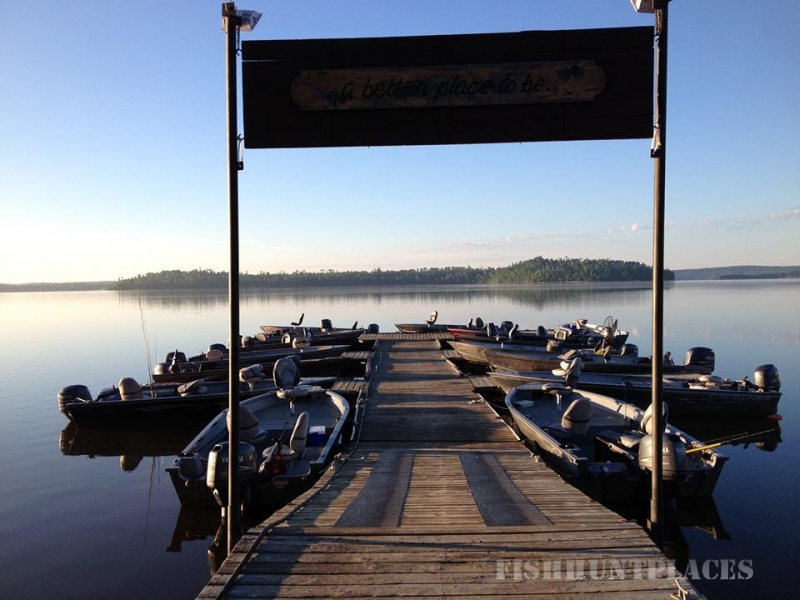 Maynard Lake has incredible structure with plenty of points, shoals, saddles and sunken islands and with Ten miles of accessible spirited flowing river, you can successfully fish by casting, trolling, drifting or still fishing. The choice is yours. From bays and beaches to rapids and falls, Maynard Lake has the structure and current to provide "spring fishing" throughout our season. 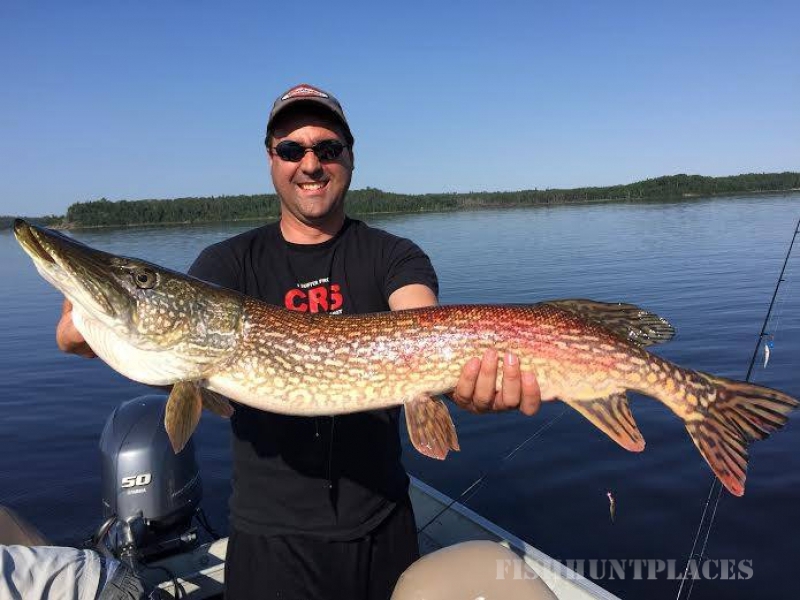 Mid May through September experienced anglers and novices alike will experience incredible fishing, regardless of the time of year. Most do fine with artificial lures - jigs, spoons, spinners and crank bait. Live bait (minnows, leeches and crawlers) are available for purchase at the lodge. We want your trip to be a success. 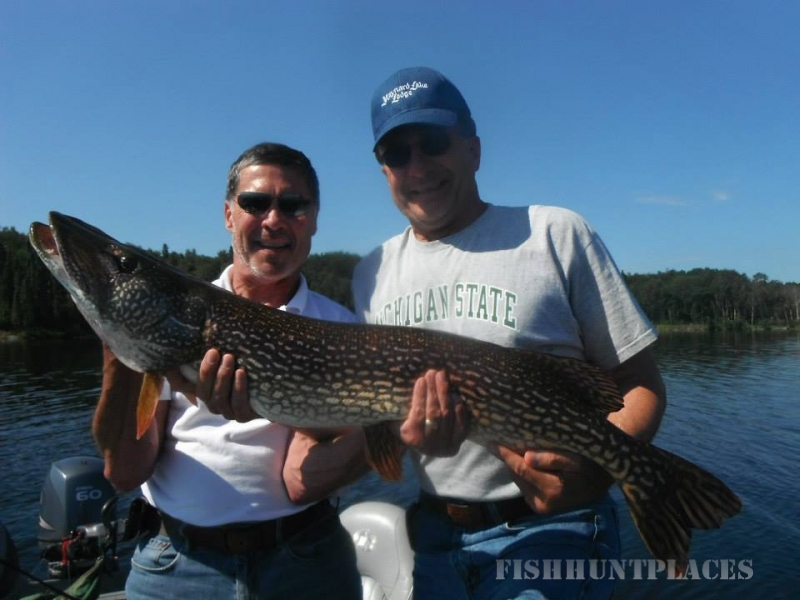 Upon arrival, we will show you where to fish, what to use and how to use it. YOU WILL CATCH FISH! 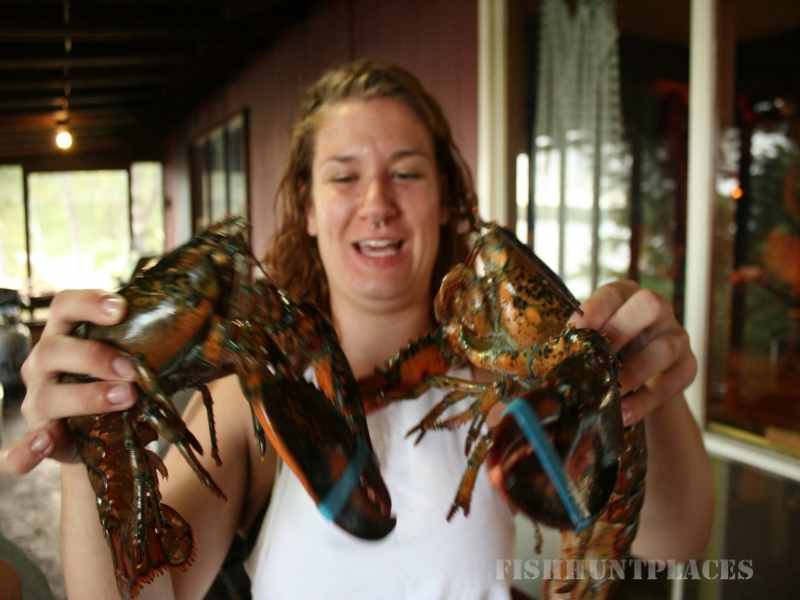 For those who wish, we have professional guides available, trained not only for fishing, but for service as well. At Maynard Lake, we practice 'Catch & Release' fishing. You may eat as much fish as you like during your stay, but take no limits home. This management strategy has made for fantastic fishing and will ensure large, strong fish populations for years to come. Fall is a time of few people and simple pleasures at Maynard Lake. Imagine, flying into an 8,000 acre lake and miles of prime hunting land just waiting to be discovered. 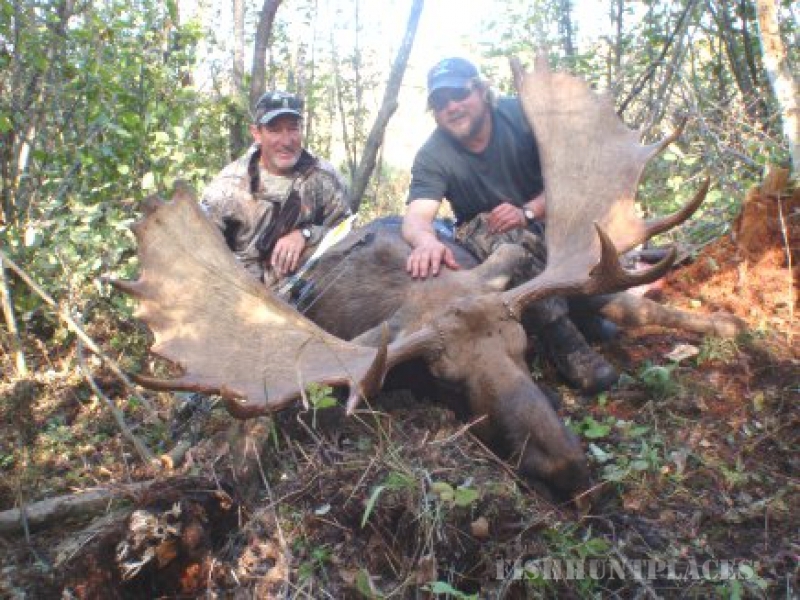 Josh and his crew bring more than 25 years of successful hunting experience to ensure that you have the hunt of a lifetime. We know that the right attitude combined with the right decision at the right time will result in success. Our past hunts have proven this. We have combined Maynard Lake Lodge’s famous quality service with our unbelievable hunting resources and expert knowledge to provide the highest caliber experience for you. 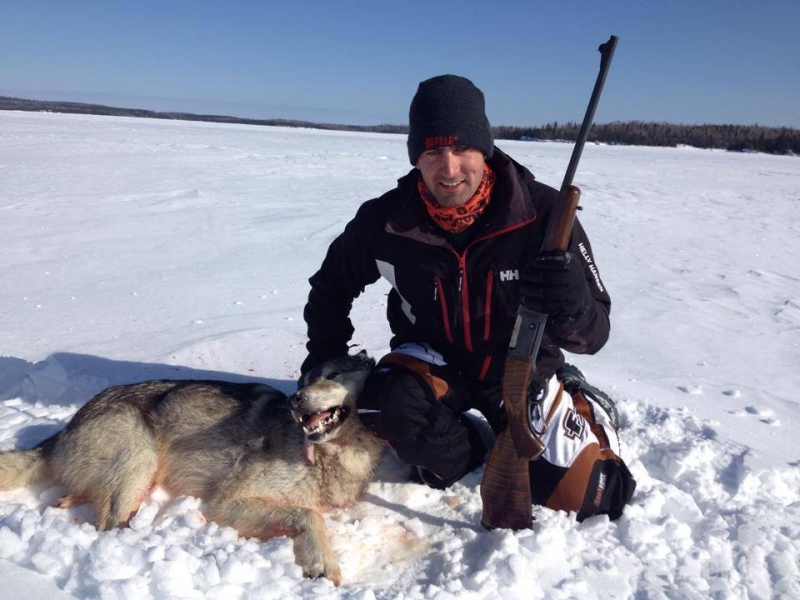 During the hunts at Maynard Lake, hunters are the only guests in camp. Your hunting success is very important to us and we will do all we can to ensure that success. You will experience an exciting but relaxing week hunt. We will prepare, transport and arrange mounting of your trophy, as you wish. Our taxidermist is one of the best! Hunters are welcome to fish or hunt grouse during off hunting hours or if they kill out early, as many do. 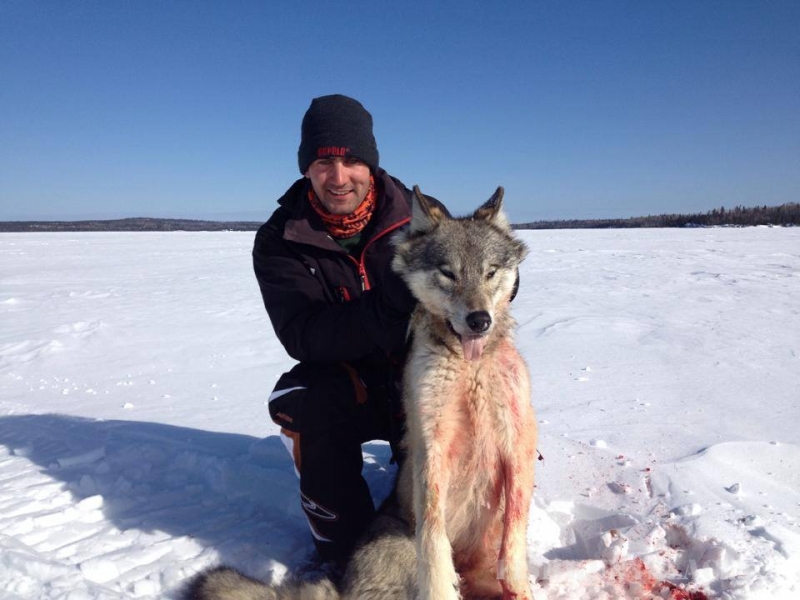 Whether hunting bear, moose or wolf, it is a tremendous experience that many want to do again and again.